SAN DIEGO, Calif., February 2, 2016 —Search Optics®, a leading global digital marketing provider in numerous industries, with a specialized expertise in the automotive industry, has been chosen by Google as the 2015 recipient of the Mobile Champion Award in recognition of its expertise in mobile-first marketing. Search Optics finished first in a field of more than 30 premiere providers by utilizing its unique technology, expertly trained staff, and mobile first focus for its more than 1,000 customers worldwide. 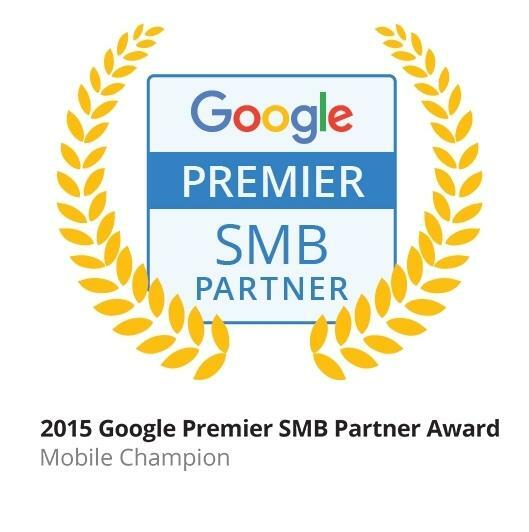 The Google Mobile Champion Award goes to a company that is generating real-world results utilizing several quality metrics, determined by Google, including mobile click-rate and spend. Search Optics’ digital marketing expertise is demonstrated by its more than 1,100 Google certifications, the most in its industry, which enable the company to leverage the industry’s best and brightest talent for client campaigns. At a time when shoppers are increasingly turning to mobile at every stage of their research and purchase process, Search Optics provides mobile-first solutions that help businesses keep up with shifting consumer behavior. Search Optics’ Blueprint Platform™, a cloud-based digital marketing solution, enables businesses to take a mobile-first approach to website design. By delivering a fully immersive mobile experience that provides users with relevant content at every stage of their shopping journey, businesses can dramatically improve customer engagement and generate better leads.